Remodel and bring the outdoors into the back or even the front of your home. Some of the top Trending window and door ideas when you remodel include replacing windows with Sliding Glass Walls, Bi-fold Patio Doors, or Glass Pocket Doors. Now is the perfect time to get creative with a remodel and replace windows or a wall with glass wall systems for added access to the outdoors. Accentuate your view by adding an expansive Moving Glass Wall System that leads from the living room, family room, or bedroom to the backyard area, pool, outdoor deck or patio. In a living room or family room it is perfect for entertaining. Family or guests can easily transition from indoors to outdoors with ease. Moving Glass Wall Operating Styles – With the bi-fold doors, each door panel stacks on top of the next, and folds in a bi-fold fashion. Sliding glass walls stack next to each other at the far ends of the room opening the wall wide up to the outdoors. If you choose glass pocket doors, they slide back into the wall, out of sight. Another thing popular in the list of top trending window and door ideas is to replace smaller picture windows or sliding patio doors with the latest style French doors. Doing this adds more character and can even add value to your home. If you want to really get creative, then add a series of French doors into a wall. Use French Doors to expand living spaces in family rooms, kitchens, bedrooms, or any part of the home. This is why French door styles are popular and in use in many other areas of the home, other than the patio exterior area. In fact, people use them for bedrooms, bonus rooms, garages, as well as entry doors for home offices. More and more designers are combining windows and doors so they can create a unique effect. 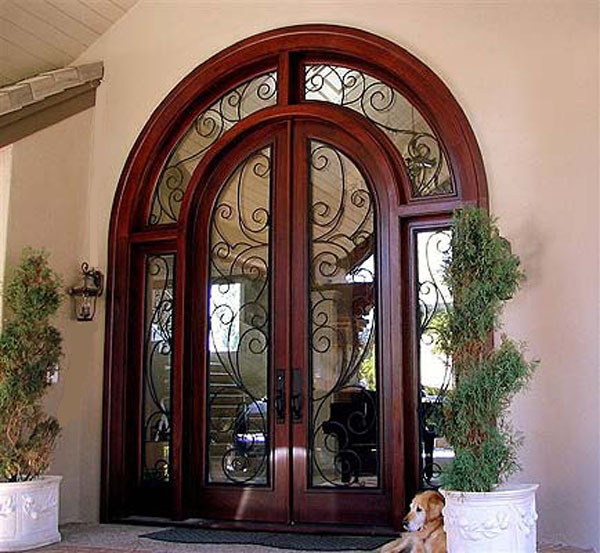 Sometimes a sidelight is installed, especially for a front entry door or a patio door. A sidelight installed with a door is a great way to gain more natural light in a small area or space. They work well for narrow width walls and entry halls. Furthermore, sidelights can be used in bedrooms or family rooms. 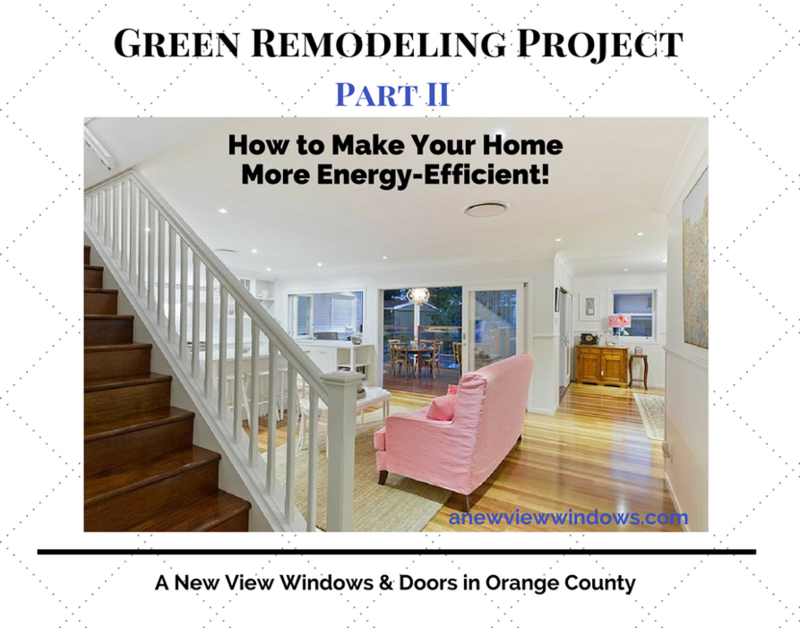 The previous article features Window Replacement Ideas (Part I). 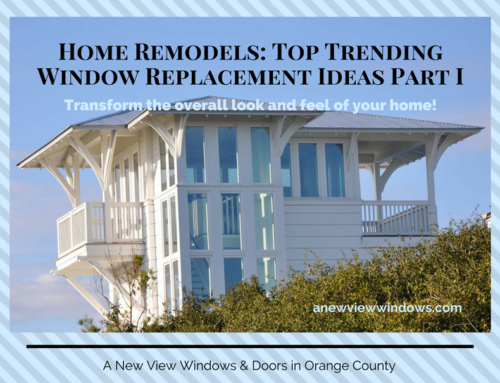 This post focuses on the top Trending window and door ideas. All have their merits so, consider using some of them if you decide to remodel your home. 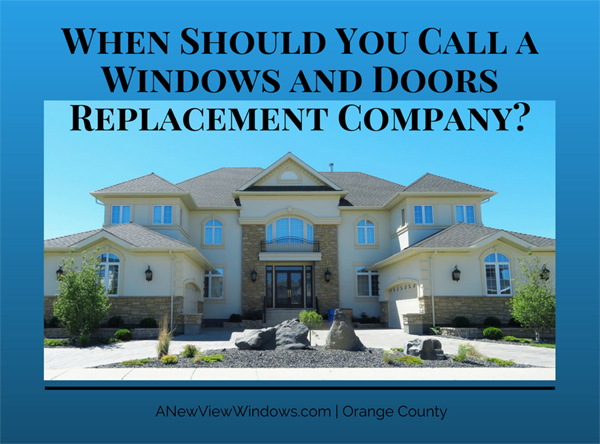 Replacement windows, as well as patio doors come in many options. You can easily create a unique look, especially when you consider the options available to you. Some images sourced in this post are from Andersen, Marvin, and Milgard, just a few of the companies we are certified dealers for and authorized to sell and install their windows and doors. Do bear in mind that a simple design will draw eyes to views around the exterior of your home. A more elaborate design can draw eyes to the interior. Regardless, you can’t go wrong. If you want new windows installed or need your current windows or doors replaced, contact A New View Windows & Doors for a free estimate.